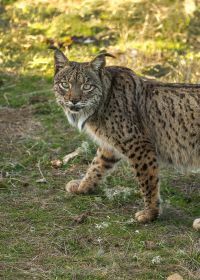 This tour focuses on two of the rarest and most elusive carnivores in Europe; the wolverine and Iberian lynx. First on this tour you will visit the forests of Eastern Finland. 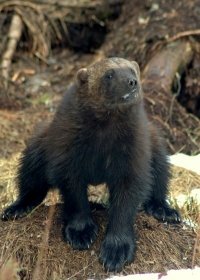 In recent years Finland has come to the forefront in terms of wildlife photography for many species including the stunning wolverine. 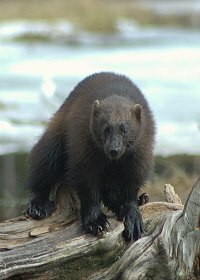 From Finland you will fly nearly the length of Europe to southern Spain and begin your search for another incredible carnivore. 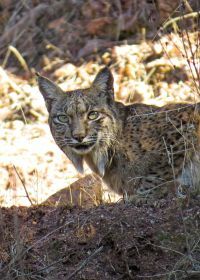 In recent years they have increased in number and when people hiking around the hills of Andalucia and birding groups started to spot this wonderful cat the world of the Iberian lynx was finally opened up for anyone dedicated enough to try and see one. 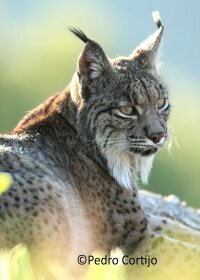 We have expert guides and know the best locations to spot one, so all in all we believe that this specialist and tailored wolverine and Iberian lynx trip will offer you the very best chances of capturing these elusive species as well as hopefully a whole host of other mammals and birds in these locations. 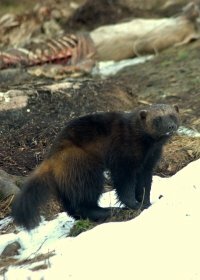 When you arrive in Joensuu you will met your local guide and then taken direct to the forests nearby the wolverine hide. After checking into a hotel you will then enter the wilderness areas of northern Karelia close to Leiksa. The forests here are full of wildlife and the nearby Ritojarvi Nature Reserve is very good for migratory birds. Some of the highlighted species around here in summer are ospreys, bluethroats, various bunting species and of course the resident species such as black & three-toed woodpeckers, hazel grouse and many others. As well as bird species the area can also yield sightings of mountain hare, Eurasian roe deer, Eurasian red squirrels, Siberian flying squirrels, musk rats, Canadian beaver and more rare moose, wolves, pine martens and forest reindeer. 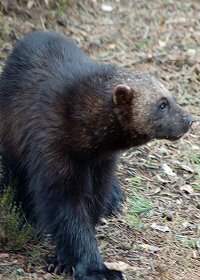 But your main target here is the wolverine and as the afternoon wears on you will be taken from the main lodge to the specially set up wolverine hides for your first night in the forest. For the next 3 days the pattern of the day will start in a similar way. You will be met at the hide in the morning and taken back to the hotel. Here breakfast will be available and you will have the chance for some rest (if you have been up all night viewing the wildlife). During the day time you will be able to visit some local wildlife sites with your local guide. These will include searching for Siberian flying squirrels, visiting the wonderful Patvinsuo National Park which is a great example of the larger Fennoscandia wilderness area. The park is mostly marshland with birch forest and is home to an array of bird species, it may be possible to see osprey and common cranes here as they return after the winter further south. There is also the chance of moose here in the marshes. You will also be taken around some of the waterways around here in search of aquatic birds including divers, and aquatic mammals like beavers and musk rats. 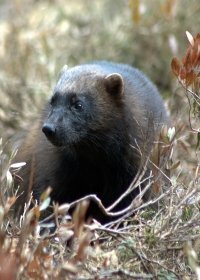 Each afternoon you will return to the hotel for a late lunch / early dinner and then head over to the wolverine hide for the night. This morning you will leave the hide and have breakfast back at the hotel before heading back to Joensuu for your flight to Malaga and the next stage of the trip. The flight is not included. 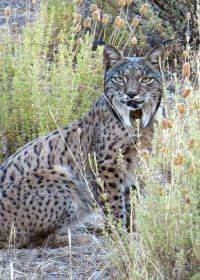 Once you arrive in Malaga you will meet your next local guide and lynx specialist. You will be taken direct up towards Sierra de Andujar in the hills of northern Andalucia. You are likely to arrive late at the accommodation today and you can discuss with your local guide if you are going to head out today or wait until tomorrow to begin searching for Iberian lynx. 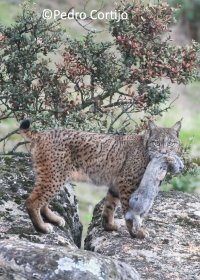 For the next 3 full days you will explore the area of Sierra de Andujar in search of the wonderful Iberian lynx and other wildlife. The rugged, dry and rocky hills and mountains of the region is some of the best preserved Mediterranean forest in the Iberian Peninsula. Primarily this is open and spacious oak forest, comprised of holm, gall and cork oak, though alder, ash and poplars are to be found at the margins of rivers, glades and meadows. In this quiet and relatively unpopulated region, Spain’s wild animals thrive. As well as Iberian lynx, wolves, Eurasian otters, Eurasian wild pig, European mouflon and western red deer are all to be found. These mountains also hold a large population of Eurasian griffon vultures, as well as good numbers of the rare black vulture and Spanish imperial eagle. Among the oak forest that clads these hills are grassy glades and secluded valleys where the lynx hunt rabbits, rest among the rocks, and raise their young in ancient, hollowed oaks. Here live the majority (perhaps 70% or more) of the world’s remaining Iberian lynx. 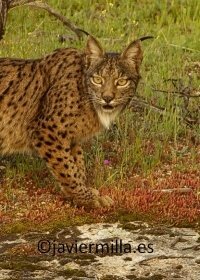 Perhaps here, in a refuge from the modern world, the Iberian lynx has a chance of survival. You will search for the lynx in a couple of ways, walking around the trails and checking out water sources and likely places for the lynx to be as well as staking out a few good vantage points and scanning the slopes looking for the lynx. All the time you will be with your local guide and able to decide on where you want to go and what you would like to focus on. This morning you will leave the serene hills and scrub forests of the Sierra de Andujar and travel back south-east to the coast and to Malaga in time to catch your return flight home. The weather in northern Finland during April and May is usually very nice during the day. The temperature being over 10 degrees C and usually between 15-25 degrees C in the day. Although the nights can be very chilly and regularly drop below freezing. Due to being so far north the nights are also very light for most of the night. Snow is possible during this time of year but it is more likely to be sunny than snowy. The weather in Andalucia during spring is usually very nice during the day with an average daily temperature of around 17 degrees C. However temperatures of 26 degrees C are not unknown at this time of year. The humidity is also low during Spring and rainfall is very low, it is not uncommon to have a completely dry April. Everything mentioned in the itinerary is included. Including three meals per day (breakfast, lunch and dinner). There will be an amount of bottled water (approx 1ltr) available for each guest each day. We have our own private vehicle with an excellent local naturalist. All our excursions including guided walks, wildlife watching trips, use of tent hides and pro hides and park entrance fees are also included. All cabin and hide fees are also included. Also included is access to private estates when looking for lynx. We also provide high quality optical equipment for helping find and observe the lynx when in Spain. We recommend you bring along your own binoculars or scope as well as appropriate clothing; which should be light and airy clothes as well as comfortable walking shoes. As the nights can be chilly we recommend you bring a fleece, long trousers, scarf and a woolly hat. A water proof coat is also a good idea. Insect repellent is handy as there can be mosquitoes (in Finland) about during the evenings and nights. Andy medication, books or other items of a personal nature is of course up to you to bring along. Oh and please bring plenty of memory cards or film for your camera. Also do not forget sun cream, sun hat and sun glasses as the sun can be strong here during the day. We provide a comprehensive species list of all the vertebrates present in the areas we are visiting as well as some of the best field guides and reference books for the areas we are visiting. There is usually a spare pair of binoculars but in a group of 4-6 people these do not stretch too far. We also bring a high quality spotting scope which will be available during our lynx section. Camera Traps will also be used to try and capture hard to see wildlife in the dead of night. We recommend British Airways or Finnair as good airlines for flights to Joensuu Airport. One of the best websites to search for the best fares is www.odopo.co.uk. They are accredited by IATA which means you can book through them securely. For your connecting flight from Joensuu to Malaga we recommend Easy Jet, but there are many other airlines that can offer routes via Helsinki. There are no health restrictions or recommendations to visit Finland or Spain but please refer to your local GP for more information if you suffer from a pre-existing condition. Having seen both wolverines and lynx I was very lucky; but my highlight was the amazing sighting of a lynx. Chatting away with the local guides would be my non-wildlife highlight.